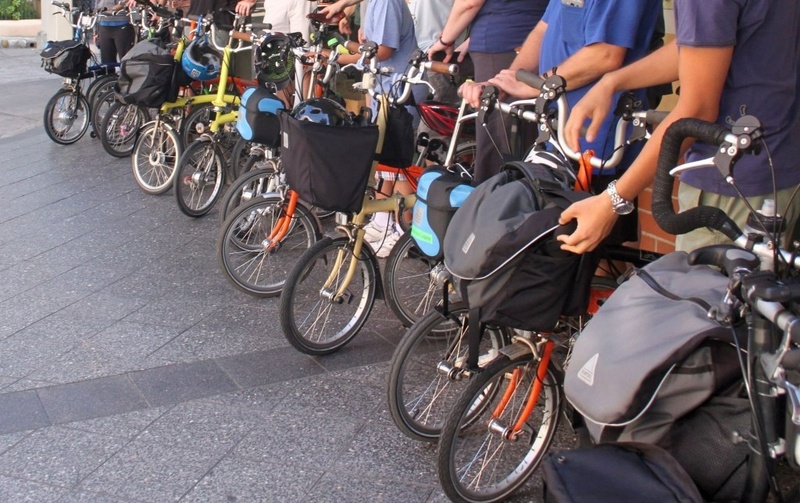 What is it about Brompton group rides or gatherings? A good example was the recent group ride with Will Butler-Adams (Brompton MD) for a sight-seeing city cruise, finishing at a Walsh Bay bar, during his Sydney visit. 15 bikes (very short notice?) were enough for a delightful afternoon/evening. Such a mix of riders – all with the Brompton grin – & bikes (pretty much every model, various colours & accessories). The riders’ enthusiasm for their bikes is remarkable. The 2012 Brompton Picnic ride was also great, with about 30 bikes heading through the city before taking a ferry to Cockatoo Island (just practicing multi-modal travel?). Definitely looking forward to the next group ride. Hopefully becoming a regular thing?